During a recent investor's call, Take-Two spoke about how important the PC market is to the company, but stopped short of saying Red Dead Redemption 2 would make it to the platform. Red Dead Redemption 2 was officially announced last October, but the announcement that most PC gamers want to hear is the confirmation the game will be heading to their platform. That topic came up during a recent Take-Two investor call, and while we didn't hear the answer we'd hoped for, the idea wasn't shot down, either. When asked about the PC market, Take-Two President Karl Slatoff said, "Some titles are actually heavily weighted to PC, for example, Civilization and XCOM. The great news is that the PC market is vibrant for us. It's a great market for us. It's a big market. It's a core market in consumers that are highly engaged. It's a predominantly digital market, which also removes friction in terms of ongoing engagement with a consumer. So, for us, the PC market as a company is very important and very exciting and something we focus on." 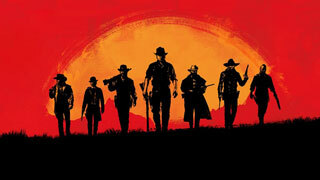 When the questions turned specifically to the possibility of a Red Dead Redemption 2 PC version, CEO Strauss Zelnick stated simply that "Any updates about any of our titles will come from our labels." That doesn't really help those of us that are holding out hope that the upcoming Old West game will make it to the PC, but at least it isn't a flat no. The success of GTA Online on PC would seem to be a step in the right direction, but the uproar over the OpenIV modding tools might not help matters. It looks like we'll just have to wait and see.